Would you like to help create a Fantasy Wardrobe? Reunion 1 is Tony’s high school friends who have moved to Queensland. Great to hear the stories and great to meet the people who the man I love hung out with 30 years ago. 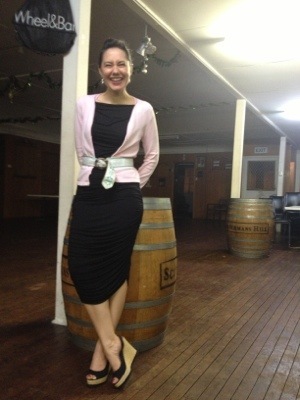 Everyone was so welcoming – lovely night with Coorparoo Bowls Club’s Open Mic Night as a back drop. I have missed musical Friday nights. 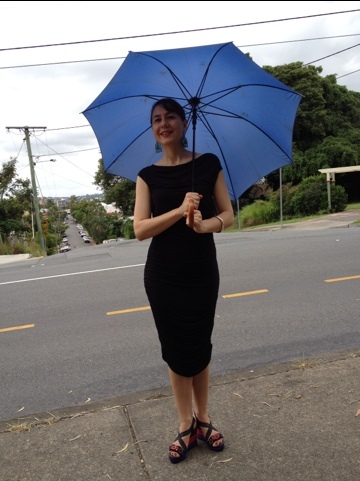 This is my supermarket dress that I picked up between bread and deodorant! 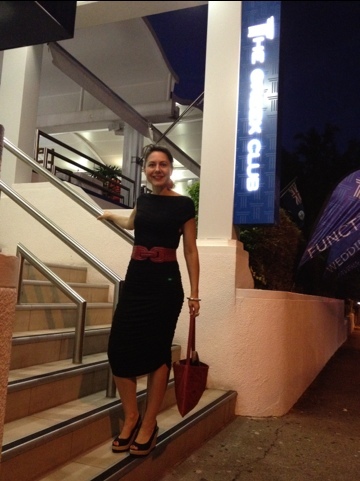 Posted in Brisbane Fun, casual, fashion, Gap and tagged Coles, Mix Clothing, school reunion, spring, supermarket dress. Bookmark the permalink. Posted in Uncategorized and tagged Comfy, Mix Clothing. Bookmark the permalink. My first day out of Dogstar for February and my first trip out for the day after baking, washing and resting up ready for family fiesta over the next few days. Having some quality family time at the beach from tomorrow. This is my supermarket party dress from the January hen’s re-mashed with red belt and earrings – all stretchy so lots if room for Greek birthday dinner! Posted in Uncategorized and tagged Dogstar, Mix Clothing, party dress, slinky dress. Bookmark the permalink. I do! I shopped! I said YES! Where do all the good clothes go?